In 2012 the City reached an agreement with the Department of Justice following an investigation into accessibility challenges for those with disabilities in KCMO public spaces. The investigation discovered that many of the city’s buildings failed to meet base standards of accessibility, and literally thousands of curb corners lacked accessible sidewalk ramps. Roughly 2,000 sidewalk corners lack accessible curb ramps like this one in North Hyde Park. While the City has made progress on both of these issues, lack of funding has been a boat anchor for full implementation of the requirements of the settlement. GO Bond Question 1 will dedicate $150m to a sidewalk program to replace many crumbling sidewalks in KCMO neighborhoods. Curb ramps will be a part of this program. Also in GO Bond Question 1 is $400m for a complete streets program, which will rebuild dozens of KCMO streets from the soil up. These street makeovers will add or upgrade sidewalks and curb ramps to the highest level of accommodation. Additionally, GO Bond Question 3 will update several public buildings that have long been plagued by accessibility challenges. The City has allocated about $2 million per year for systematic curb ramp upgrades and will continue to do so. 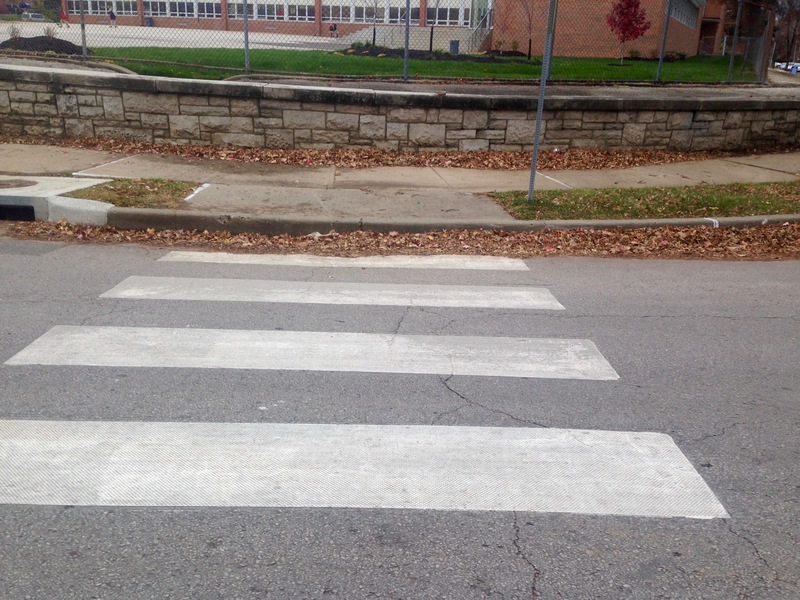 Adding in the GO Bond funding for sidewalks will help the City build accessible public rights-of-way even faster. Next up in the #GOVote series: A YES Vote on Questions 1, 2, 3 is a Vote for Accessibility.